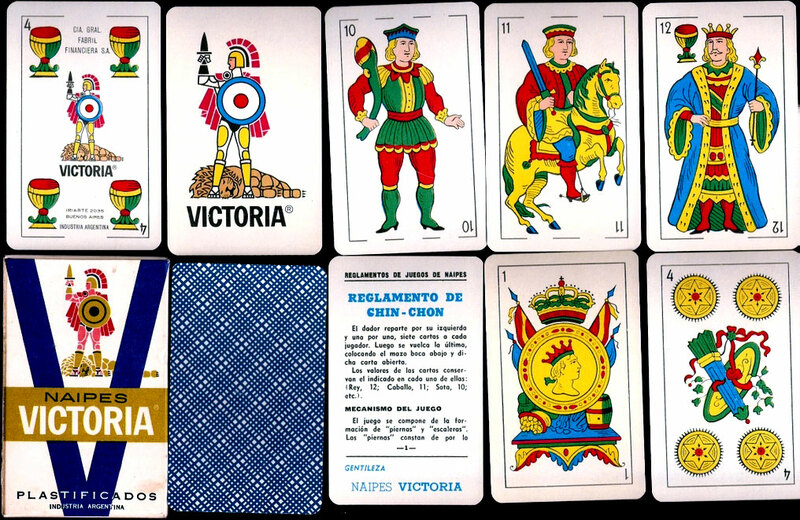 Naipes VICTORIA Spanish-suited playing cards manufactured by Compañía General Fabril Financiera, S.A., Iriarte 2035, Buenos Aires, c.1965-75. 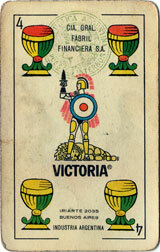 Naipes Victoria was Cía Fabril Financiera's leading brand of Spanish-suited playing cards, alongside Naipes Angelito, Domador and Payador. 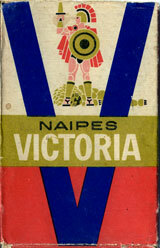 The logo on the four of cups, showing a gladiator standing victoriously over a slain lion, was re-drawn around 1965 and the typography on the indices was also modernised. The address was still being given as Iriarte 2035. 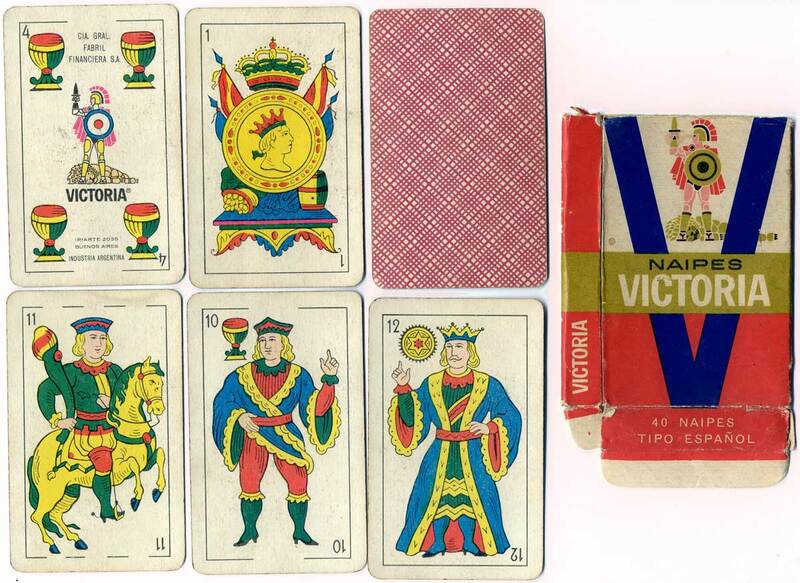 The brand was briefly continued by F.X.Schmid (Argentina) S.A. and also by their successors Joker S.A. until around 1980 when it was discontinued. 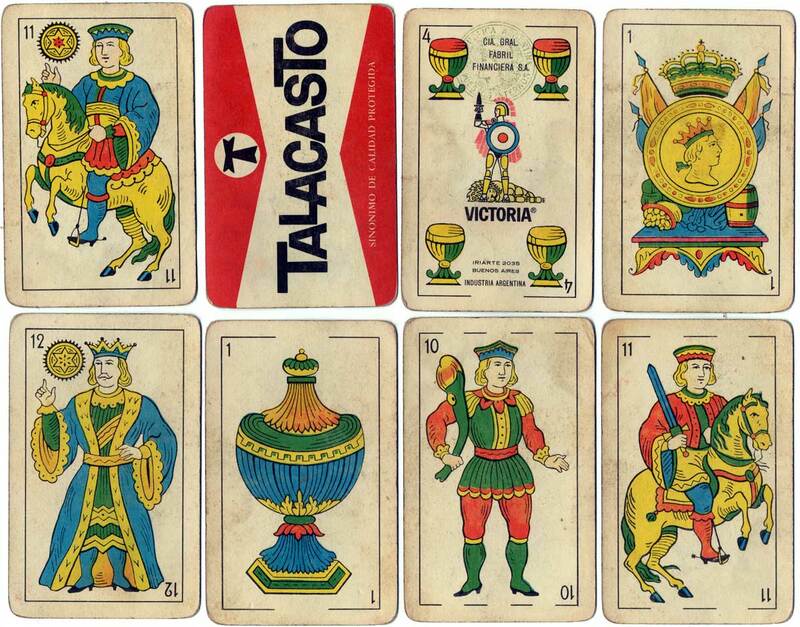 Above: Naipes Victoria manufactured for Talacasto Wine Merchants by Cía General Fabril Financiera S.A., c.1965. 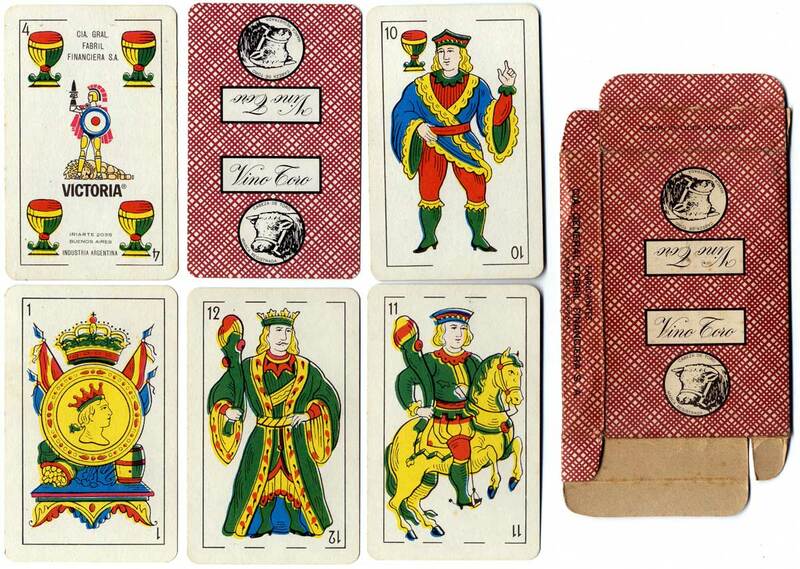 The four of cups has a re-drawn version of the gladiator logo and also carries the green 'Marianne' tax stamp which was used until c.1968. 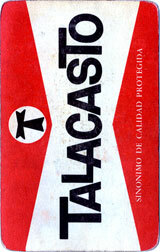 Below: Box from Naipes Victoria 'rojo' [red] standard edition. 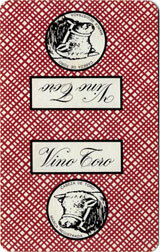 Above: Naipes Victoria manufactured specially for Vino Toro Wine Merchants, c.1970. There is no tax stamp on the four of cups. Note also the modernised typography on the indices which seems to have taken place around 1965. 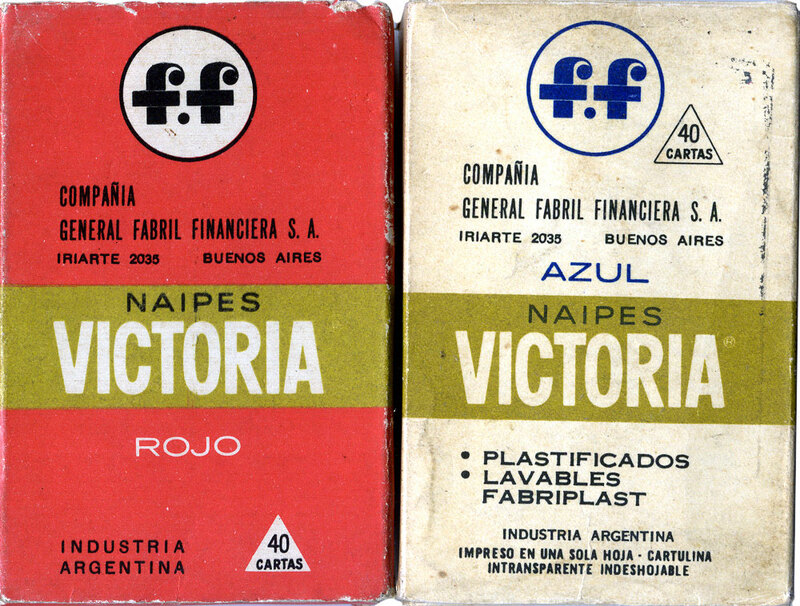 Below: Box from Naipes Victoria 'azul' Plastificados [blue] with Fabriplast plastic coating.